Description: This is a rear/side view of the Linear Aerospike SR Experiment (LASRE) pod on NASA SR-71, tail number 844. This photo was taken during the fit-check of the pod on Feb. 15, 1996, at Lockheed Martin Skunkworks in Palmdale, California. 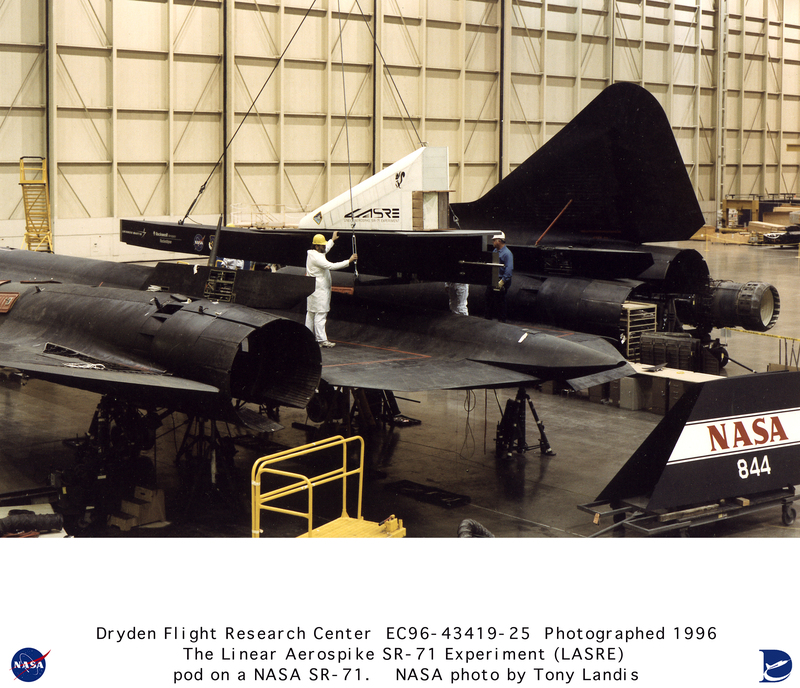 Keywords: SR-71; 844; side view; LASRE; Linear Aerospike SR Experiment; pod; Lockheed Martin Skunkworks; X-33; Reusable Launch Vehicle; engine flight data; Dryden Flight Research Center; aerospike; LASRE; linear aerospike rocket engine; Linear Aerospike SR-71 Experiment.